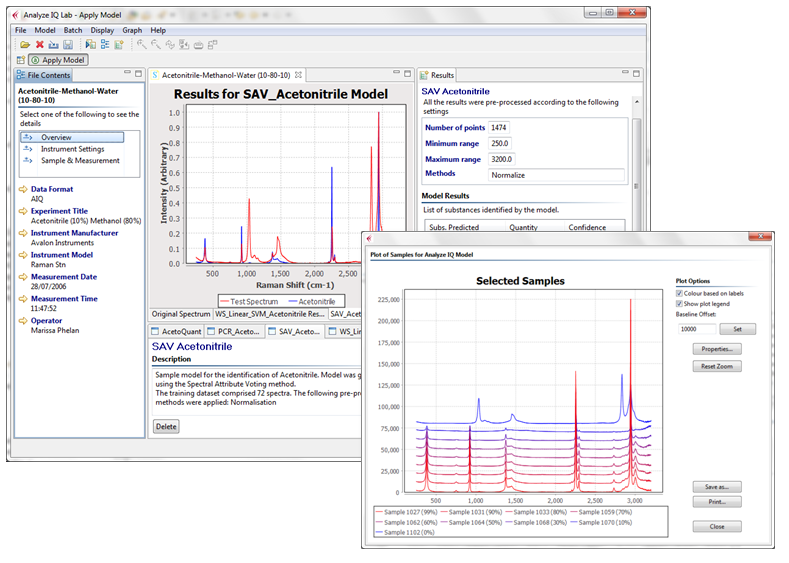 The Analyze IQ Software Suite is the most sophisticated software package on the market today for spectroscopy data analysis and management. Analyze IQ Lab performs accurate chemometric analysis of data from all forms of spectroscopy. It incorporates innovative machine learning methods that have been developed specifically for this application domain, but also supports a range of standard chemometric techniques for multivariate analysis and standard machine learning techniques too. Our product suite also includes Analyze IQ Spectra Manager, a spectral data management package that allows users to easily manage a library of spectra. This can optionally be supplied with a carefully-curated library of Raman spectra of about 2000 different materials, including pure substances and mixtures. Read our one-page Application Notes Summary to see for yourself how the Analyze IQ software dramatically outperforms SIMCA and PCR in analysing complex real-world mixtures. You can register on this website in order to download fully-functional evaluation versions of the software products, or contact our Sales Department to purchase a full licenses. 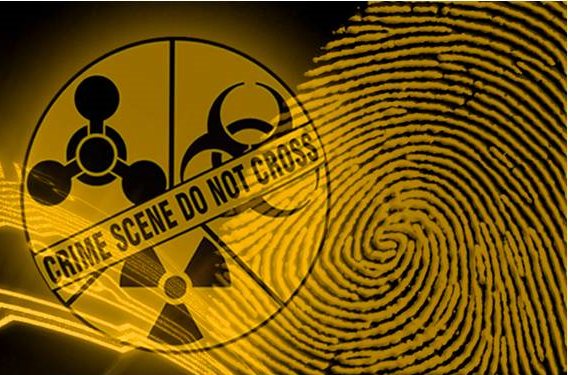 It is designed specifically to work in complex, real-world situations, such as identifying a target substance in a complex mixture. It takes a fundamentally new approach, based on patent-protected machine learning and data mining technology, that avoids limiting assumptions of classical chemometrics. 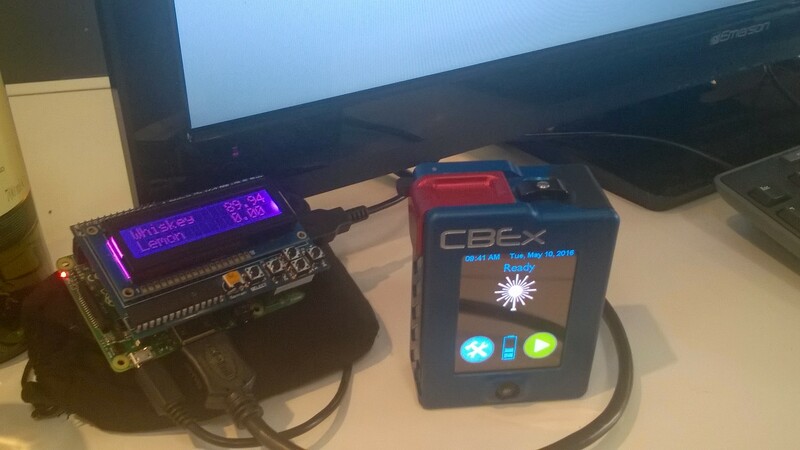 It has an intuitive graphical user interface, developed and tested in close collaboration with analytical chemists. It is designed for using your spectral data to answer questions, and works well even when there is a non-linear relationship between spectra and the corresponding questions. The Analyze IQ software learns to recognize the presence or quantity of a target analyte in complex mixtures, yielding more accurate results than conventional chemometric methods. This helps specialists in laboratories and non-specialists in the field identify and quantify illicit and hazardous substances rapidly, easily and accurately. 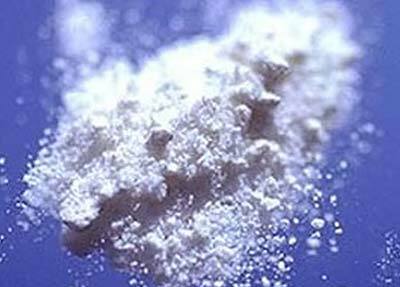 This NEW Case Study describes how Analyze IQ Lab was used to develop a technique to identify and quantify cocaine in seized drug powders using Attenuated Total Reflectance Fourier Transform Infrared (ATR-FTIR) spectrometry and multivariate analysis methods.